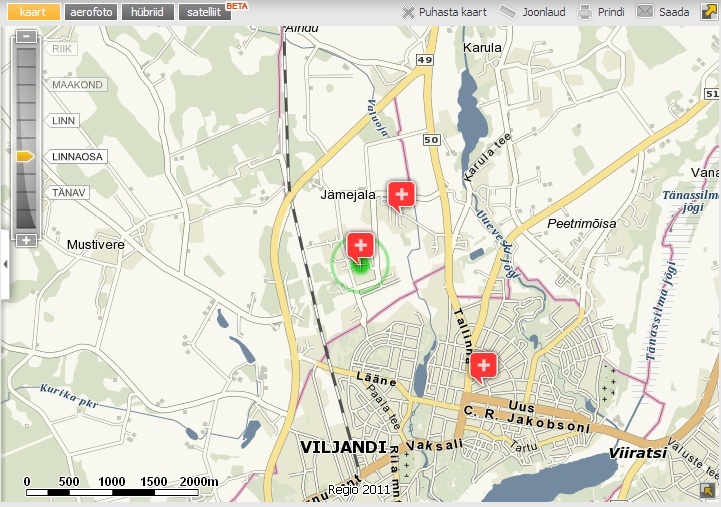 Viljandi Hospital is a general hospital, providing professional 24 hour quality medical care for the ones in need. If you require emergency medical help, please call 112 or go to the emergency department. Emergency department (ED) provides emergency medical help of internal, trauma, surgery, gynecology nature for adults and children 24h a day. When coming to ED, you need to account for the queue and severity of conditions, as people in severe conditions have priority. One can also call to the advisory line of the family physician 1220 twenty-four hours a day, seven days a week. For more information please visit Estonian Health Insurance Fund.